Space Shuttle Atlantis: Down But Not Out. Late last night space shuttle Atlantis streaked across the night sky in a brilliant blaze of firey glory on its way back down to earth. After writing about the mission just over a week ago I’d been dreading this moment for quite some time as it meant that it would be the first shuttle to enter official retirement. 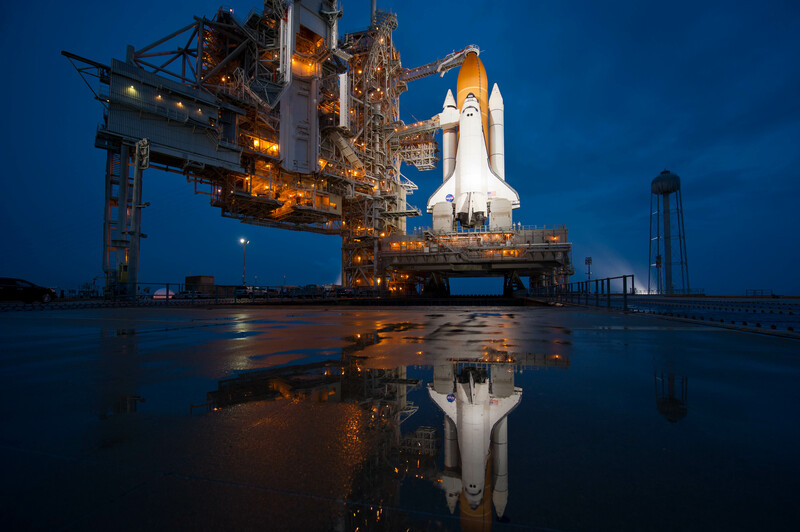 Still we can’t dwell on the negatives for too long as space shuttle Atlantis has served humanity well running 32 missions, travelling over 180 million kilometers and spending a total of 282 days in space. So what else is there to say about the first of our iconic spacecraft to hit retirement? Well there is the fact that it might not be its last flight at all. Readers of this blog will more than likely remember me detailing some of the standard operating procedures of a shuttle flight. One of those is that should the shuttle sustain enough damage to make returning to earth too risky they must have somewhere to stay whilst a rescue mission is planned. Traditionally they can take refuge as the ISS as it is more than capable of handling the extra load for a month or so whilst they roll out another shuttle. Now this doesn’t mean that NASA can just whip up an entire shuttle mission within a month, far from it. In fact all rescue missions are planned well in advance with many of the critical components ready to go, including things like the external fuel tank and SRBs. For our soon to be retired friend Atlantis this means that whilst it’s completed its final official mission, its job is far from over. 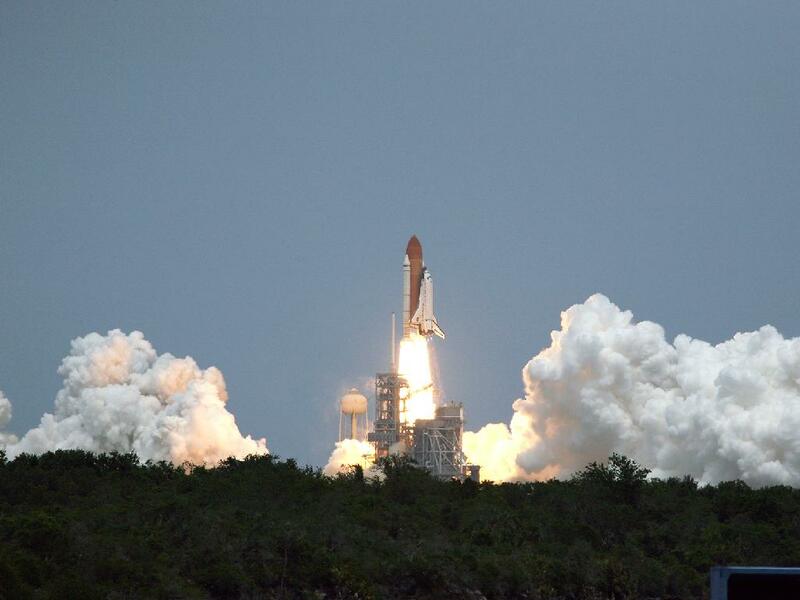 “We need to go through the normal de-servicing steps, obviously, after the orbiter comes home…We have to prepare Atlantis and the stack as if we’re going to fly again because it is (launch-on-need) mission,” said shuttle launch director Mike Leinbach. But with long odds that a rescue would really be required, there’s a notion to fly Atlantis crewed by just four astronauts on a regular mission and a large logistics module to service the International Space Station with supplies and more science equipment. Designing such a mission, getting the cargo pulled together and training a crew would take many months, so the clock is ticking for a “go” or “no go” decision. In essence we’d have a shuttle that was fully flight ready, all it would be missing is a payload. The crew would intentionally be kept small in order to ensure that in the event of an emergency they could all return aboard the attached Soyuz craft, which would also limit what kind of payload you could send up there. Still having a shuttle tricked out and ready to fly is not something you’ll have the opportunity to do again and this is what has got tongues wagging about whether or not NASA should in fact fly Atlantis one last time. There’s no denying that any flight into space has an enormous amount of value. Whilst every precaution is taken to ensure that the ISS has everything it needs there’s no harm in bringing up extras for it. Even with the reduced crew there’s still the opportunity to fly up some additional hardware like some of cancelled ISS modules (a few of which were partially built). Still if such a mission were to go it would more than likely be a strict logistics mission as anything else would require extensive amounts of planning, something that I’m not quite sure congress would be willing to approve (flying Atlantis just for logistics would be costly enough). So whilst the great Atlantis might have been the first to return to earth on its final official flight there’s still a chance that we’ll see this bird fly once again. I might lament the fact if it does ever fly (making my trip to the US to see the last shuttle flight moot) it would still make my heart soar to see it lifting into the sky one more time. Such is the awesome beauty that is the space shuttle. Massimino and the other members of the shuttle Atlantis’s STS-125 crew, led by commander Scott Altman, are due to lift off May 12. The astronauts plan an 11-day mission packed with five spacewalks to repair hardware and install equipment such as a new camera, gyroscopes and batteries. The upgrades should extend the observatory’s lifespan through at least 2013. For Massimino, revisiting the telescope will be a trip down memory lane. Reading this article last month really brought this mission home for me. Just imagining going up there once and seeing this impressive telescope back dropped by our beautiful blue marble of a planet would be enough for anyone. Going up a second time would be like going home to visit your old friends, something sure to stir the emotions and tug at the heart strings. Truly the astronauts on this mission are some of the most fortunate people, and I wish them as safe journey. Hubble is about to receive 7 astronauts who will perform an intensive 11 day mission. This mission includes 5 intensive 6.5 hour back to back space walks as well as the routine of ensuring that the shuttle is capable of landing back on earth without incident. This is a routine procedure since the Columbia disaster back in 2003 and is the cause for one of the most amazing plans that NASA has put into place. 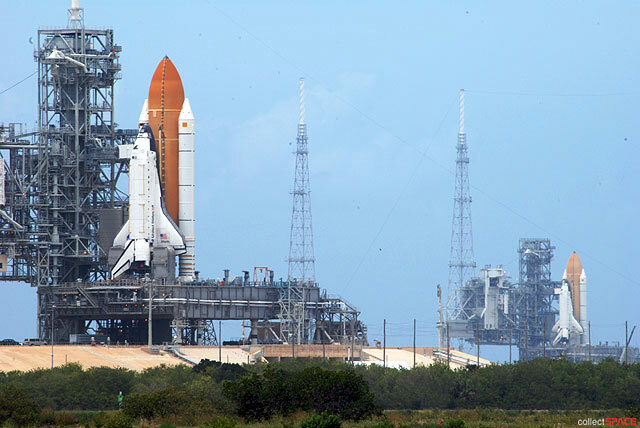 Should Atlantis not be able to safely return to earth Endeavour will be launched in order to rescue them. The mission itself is no small feat either, with a tricky set of manevours planned in order to get all the astronauts across safely. Whilst I don’t wish any harm on the astronauts I’d love to see this plan put into action, as it would be a testament to NASA’s prowess when it comes to operating in space. Whilst this mission doesn’t have as much of a human element as trips to the ISS do it does hit close to home. Once this mission is over the astronauts up there will be the last to see Hubble in the flesh and I’m sure the departure will be a bitter-sweet moment for them, as it will for the rest of us.